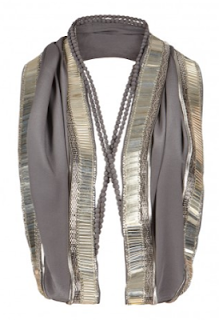 Sometimes you need a really standout accessory that completely changes a look from basic to boom! 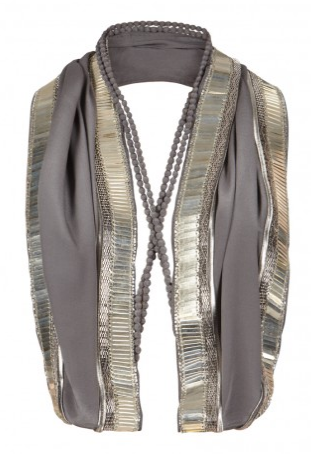 This scarf from All Saints definitely fits the bill, with its chains and silk and glass beads mixing together into an edgy lush piece! Buy for $205.